Born on June 20th, 1982. In Serbia. He has been actively engaged in photography since 2002. In 2004 he had his first exhibitions. 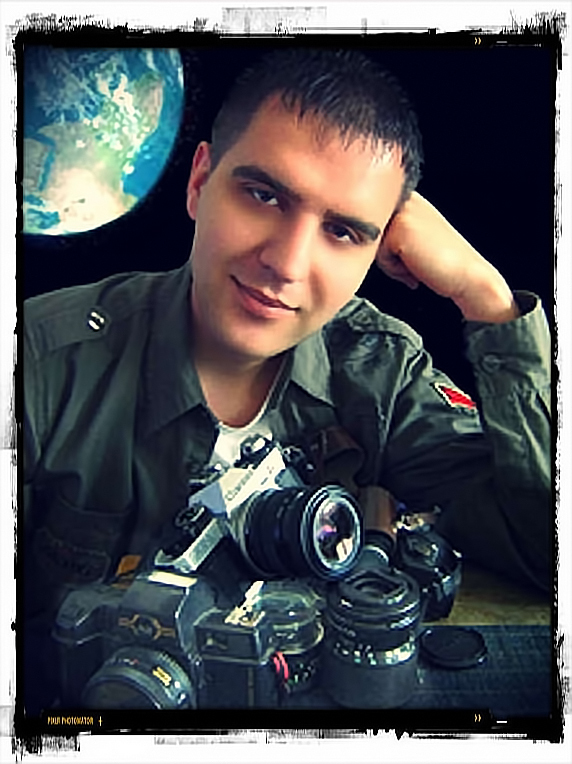 During that period he became a member of photo association of Serbia, and in 2005 he recived a diploma from creative photo school. He has held three solo exhibitions so far and over a hundred group exhibitions in the country and abroad, where he was rewarded and his photographs were published in many expert journals “ Independent, CNN, Professional Photographer magazine, Refoto … “. - Special Dejan Mancic Foundation reward for 2005, which applied as a countribution and stimulation to the young who are engaged in photography..
- Young photographers group exhibition in Italy, 2007 at MART Museum of modern and contemporary art of Trento and Rovereto. - Participation in “ Kosovo Diary “http://www.kosovodiary.com/ project, which was co financed by the EU through the Media Fund, a programme for the support of professional media development in Serbia, menaged by European agency for reconstruction 2008. - Special award-Art partner project photo exibition.Is powerty(in)visible in Europe-Brussels 2010. - Silver award in China 14th International Photographic Art Exhibition. 2011. One of the most important events hosted by China Photographers Association. This large-scale international photography exhibition, patronaged by FIAP, is hosted every two years since being approved and established by Ministry of Culture of PRC in 1981. Exhibition has drawn 72,678 entries by 7,298 photographers from 88 countries and regions, and set a new record with the amount of entries. - First position in “International Peace day and photography competition” 2012. organized by Kafka Development Organization with partners Culture of Peace and Kafka Production. This event was organized to celebrate nternational peace day to make world a conflict free society. - The winner of the 4th International photo competition "Peace Is", under the theme "Peace Is -Peace is NOT" 2012. The photo contest is organized by the Greek offices of the International Organism of theHumanist Movement "World Without Wars and Violence", under the auspices of the Greek National Committee of UNESCO and the Ministry of Culture.